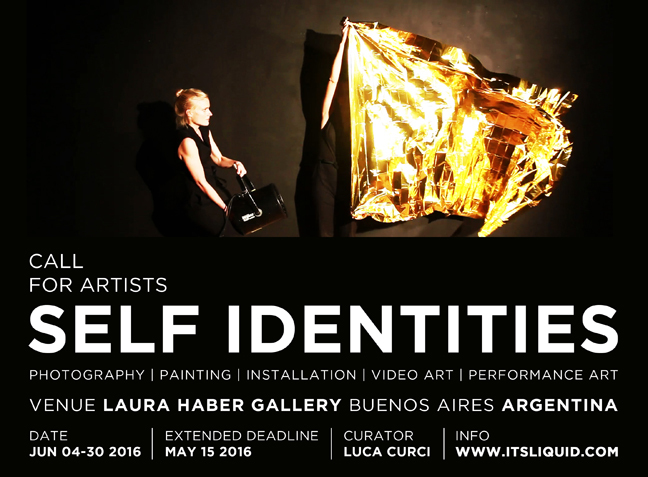 SELF IDENTITIES, International photography, painting, installation, video-art and performance art festival, that will be hosted in Buenos Aires (Argentina), at Laura Haber Gallery, from June 04 to 30, 2016. The exhibition will be curated by Arch. Luca Curci (director of It’s LIQUID and International ArtExpo). 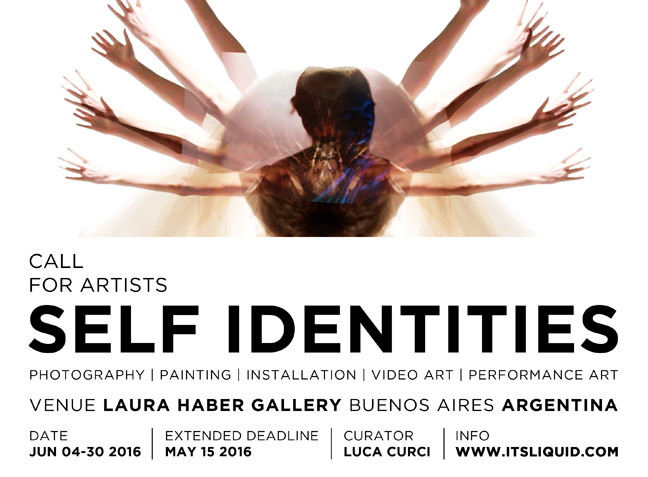 SELF IDENTITIES – the perception of our being is the first step for the discovering of our identity, because everyday we meet and deal with a multitude of different identities and roles, and we face the public life, creating and adapting our social identities. Then, a deep investigation of our inner world and its relationship with the outside, modify our physical and sexual identities. We invited artists not only to show us their idea of identity and to celebrate it through art, but also to communicate with us through their identities. 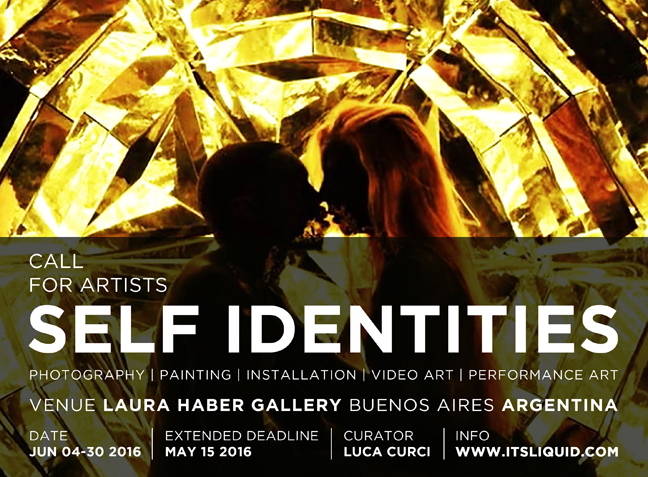 Extended deadline for applications is May 15, 2016 (11.59 PM of your local time).